In which G.M. 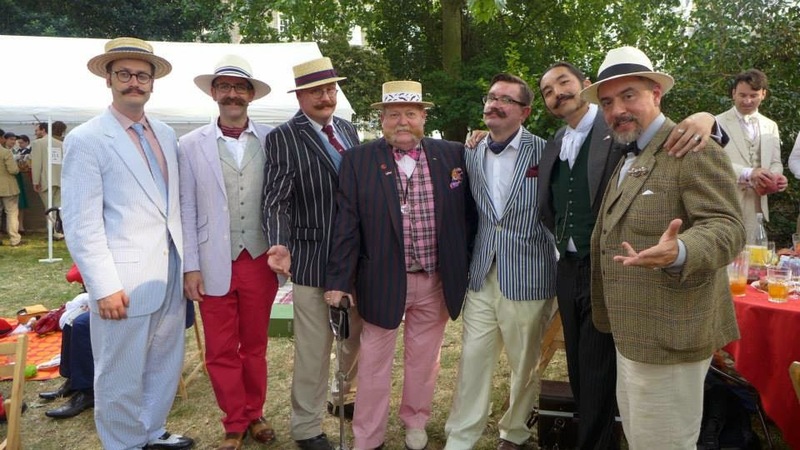 Norton invites a Handlebar Club chum to recount his Chap Olympiad experience. 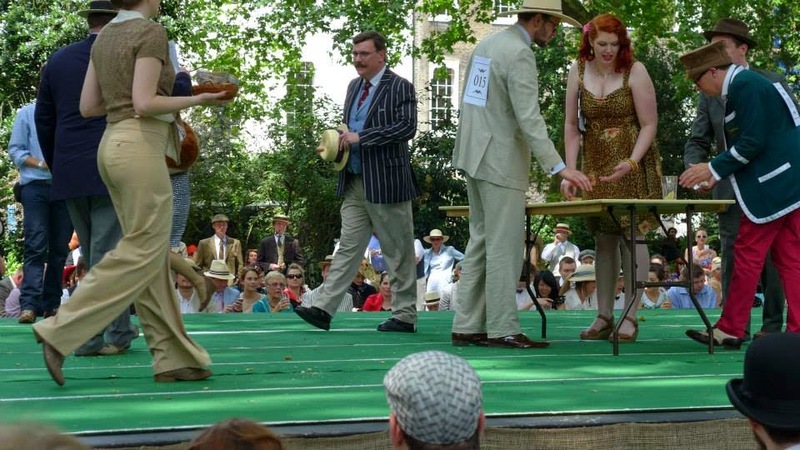 Last Saturday, the 10th Chap Olympiad was held at Bedford Square Gardens in Londinium - an annual event where ladies and gentlemen gather for a wonderfully eccentric day of picnics, hobnobbing and competing for Chappish glory in 'sporting' challenges. 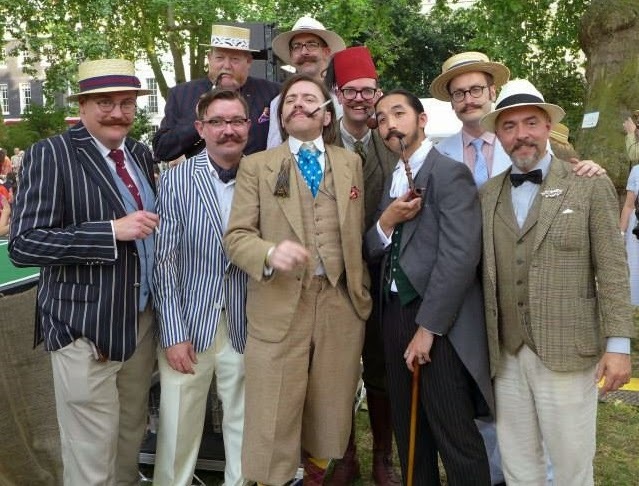 Sadly, my moustache and I were unable to make it but rather than let such a glorious soiree saunter by without this periodical marking it in some way, I devised a plan. 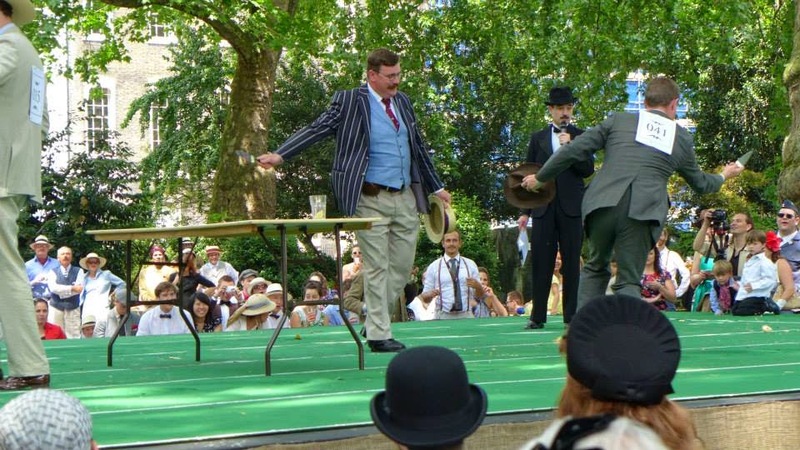 As you may have already gathered, I enjoy plotting and scheming, so I made the inspired decision to invite a Chap Olympiad attendee to pen a little something on the gregarious goings-on. 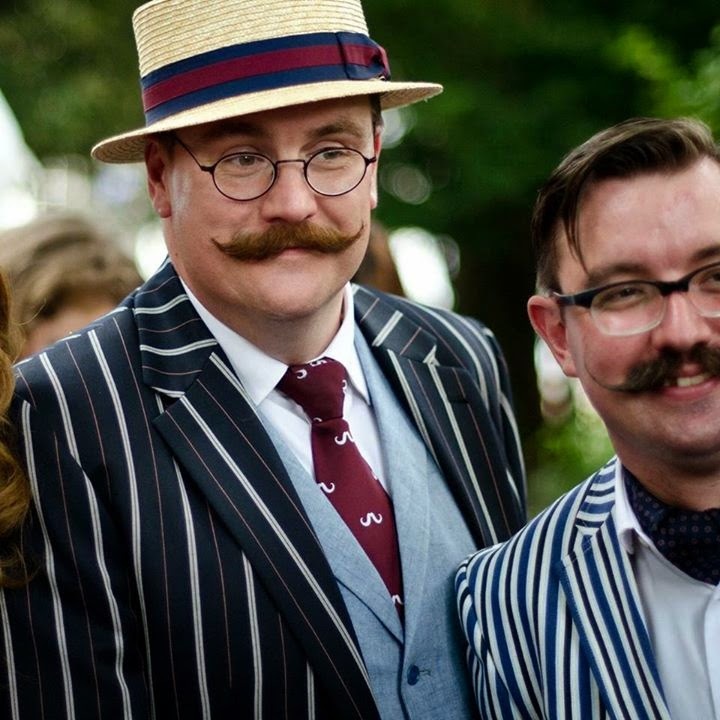 Enter, my chum and fellow Handlebar Club member, Mr. Ryan Pike. 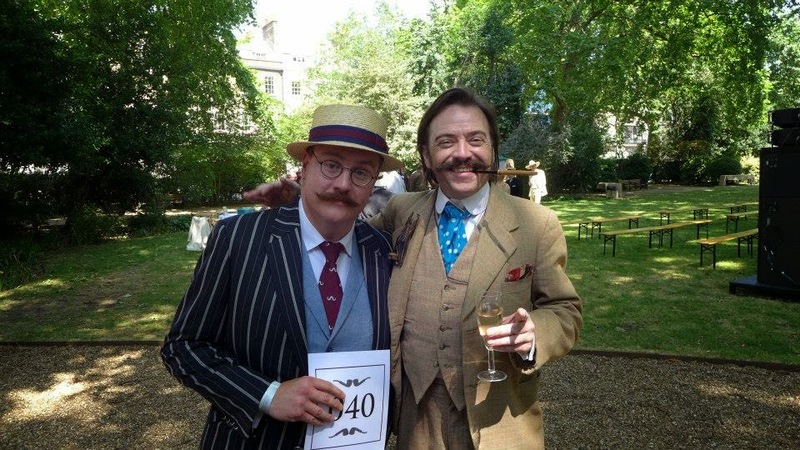 Please sit back, pour yourself a tumbler of your favourite tipple and enjoy Mr. Pike's account of his experience at the Chap event of the year. Some years ago, my brother bought me what was arguably one of the best birthday presents I have ever received – a subscription to The Chap magazine. I did not realise it at the time but this was actually the first run of this fledgling periodical. 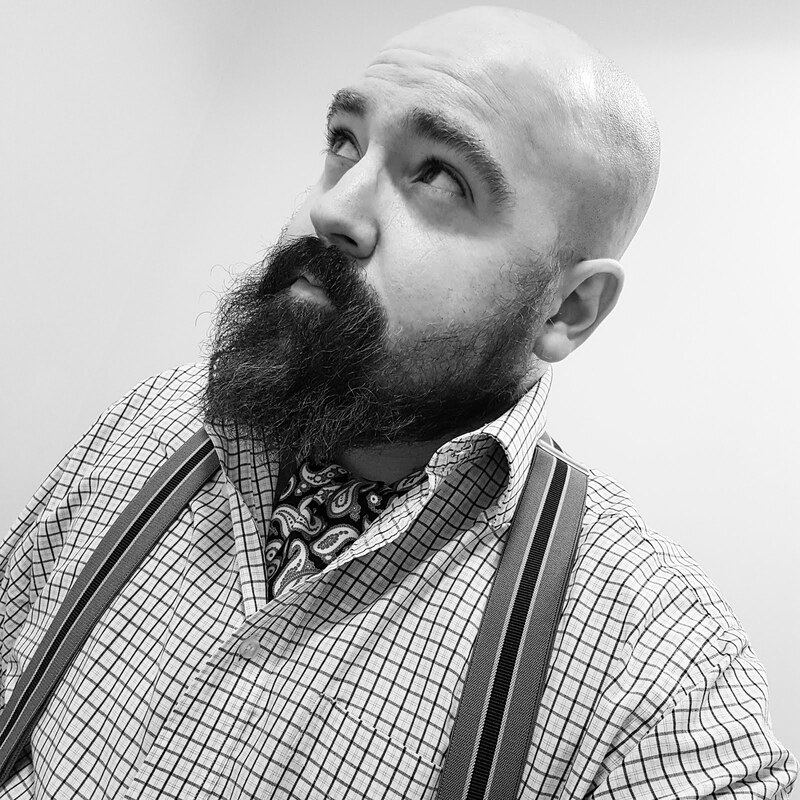 Ever since then, I have been absorbed into a different world of impeccable manners, exquisite tailoring, good grooming and thoroughly decent gentlemanly advice when the publication falls through my letterbox every other month. Whilst life was fine and dandy in this regard, I had noticed that I was missing out on one fundamental aspect of this marvellous alternative and somewhat parallel universe. 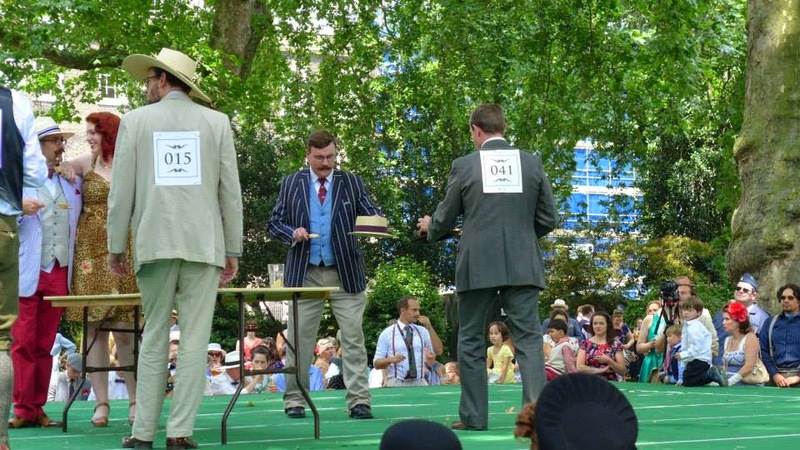 You see, every year the whole gamut of what The Chap stands for becomes concentrated into a one day event at the height of the English summer - The Chap Olympiad. 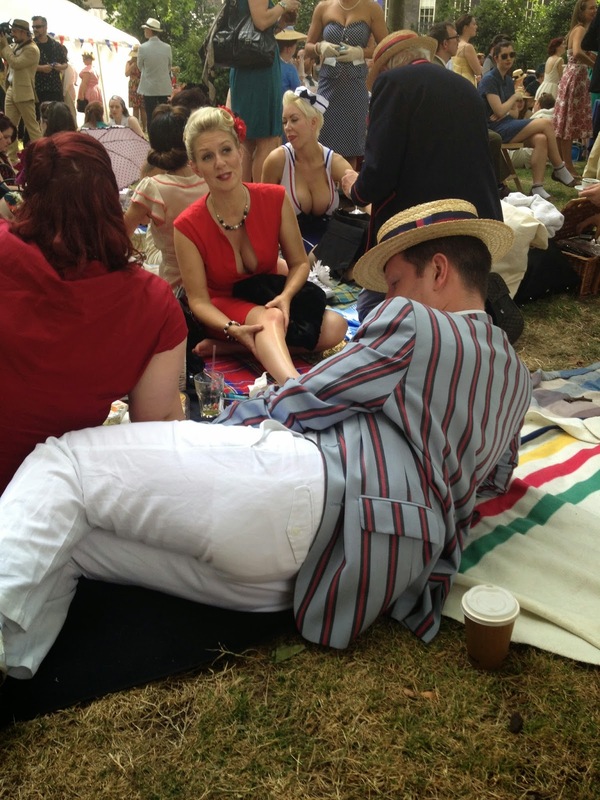 Having read eagerly over the last ten years about this splendid event and having admired the many photographs of the high jinks and bunkum that happens on the day, it amazed me that I had never managed to organise my otherwise orderly life to a point where I could attend and join in the fun. It amazed me even further to see that this year, the Olympiad was also in its 10th year. Something had to be done and rather quickly…. 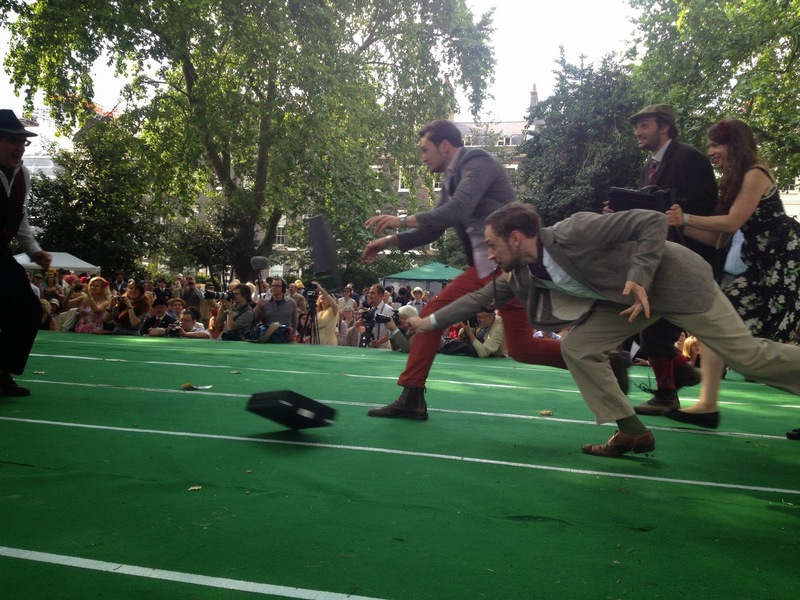 As The Chap themselves put it, it is "a celebration of athletic ineptitude and immaculate trouser creases"
The event runs from 12pm until approximately 8pm. I would encourage that would-be attendees for next year's shindig arrive in plenty of time as the crowds this year were quite enormous (having gained entry bang on 12pm, I noticed there was still a queue at 2pm and this is a ticket only event). If you do not have a familiarity with Bedford Square Gardens just off Tottenham Court Road, I would advise that you look it up on the Interweb as the setting is quite splendid and fits the bill perfectly with its Georgian charm. 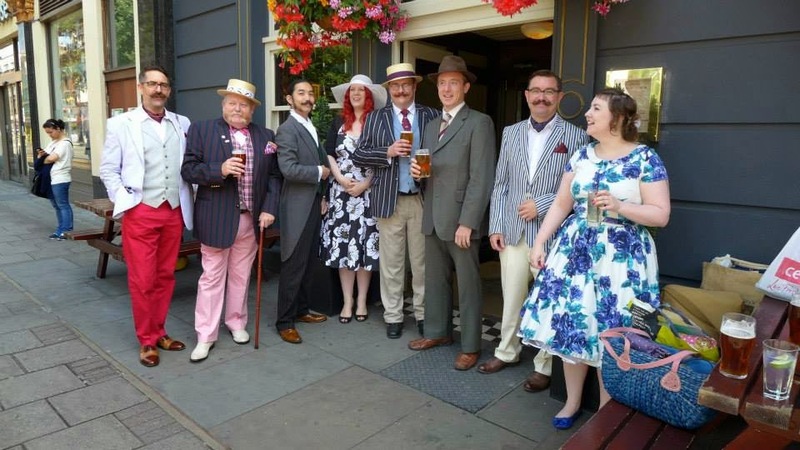 Once through the cast iron gates, I had been prompted by a previous participant to register for the ‘sporting events’ as quickly as possible as not only are they very popular, but they are the centre piece of the whole affair and are oversubscribed within minutes. Joining a small queue with my colleagues, we were confronted with many choices such a Tug O’Hair, Limp Handshake Throwing, Beach Volley Bowler and Bakewell Jousting to name but a few. My efforts in the latter are demonstrated below however despite both cakes falling at the same time (the object is to knock the tart off your opponents cake slice server before he does it to you) and my expectation of a draw, my colleague was awarded the win on ‘theatrical merit’. Bakewell Tart Jousting gets underway! The tarts fly off into the air - surely a draw? One quickly grasps that there are no rules as such and really improvisation, lack of effort, being louche or demonstrating some quirk that no one else has thought of before will win you the game. For example, the venerable Mr. Nash won at Beach Volley Bowler by simply standing in the middle of his team, pouring himself a drink from his hipflask and then leisurely proceeding to drink it. In this particular instance, the team I was on had actually won 3-0, but this did not bear any relevance on the end result by comparison. Once the opening ceremony has been completed and the ‘Olympic Pipe’ lit and smoked by the assembled competitors on the stage, the games then proceed gently throughout the day with a break midway. 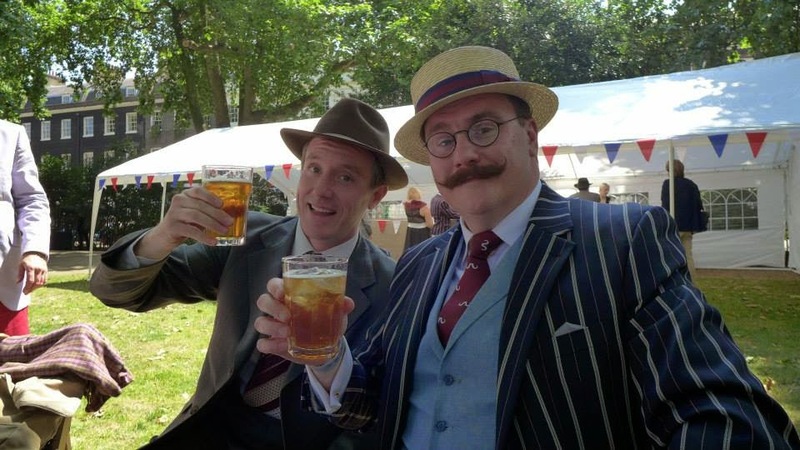 For those not competing the setting provides a perfect venue for an afternoon stroll, a picnic, chat with friends or to visit the drink tents which cater for both alcoholic (oodles of Pimm’s) and non-alcoholic tastes (tea and cakes). If you were prudent enough to beat the queue you may even have bagged a table although the park lends itself to a picnic rug on the ground perfectly. For the braver spectator, you can even perch on a bench aside the main stage as the cameras flash and the contestants groan. The day is topped off with a closing ceremony where awards are presented to those who have cut the mustard and some are even fortunate enough to be ‘mentioned in despatches’. When concluded, the stage is used as a dance floor and all assembled are welcomed to 'cut some rug' until the event closes. If like me you have had your fair share of summer cocktails, the walk to back to the tube is a relatively short stagger and you leave with the sweet drone of 1930s music and people in glad times gently fading in the distance as you wind your way back home. Have fun and let your hair down, but in an elegant way! Well, what a magnificent day! It has certainly made me want to leave my home in T'North for a rambunctious few hours in Old London Town. Who would care to join me next year? Thanks awfully to the delightful Beth Wells for kindly allowing me to help myself to a selection of her snaps. A thousand thanks must go to Mr. Pike for a most riveting read. As his reputation for consuming alcohol precedes him, I'm quite amazed that he was able to reconstruct the day for us! 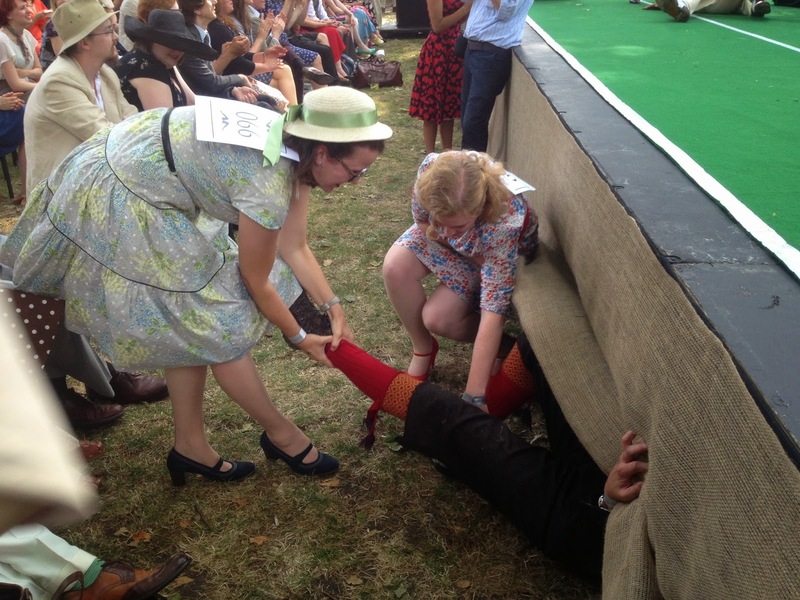 Jolly good, perhaps I will see you at next year's Chap Olympiad! Definitely do it! I have no excuses now (well, the small matter of children and distance, I suppose). It would be delightful to meet you and your beloved if the stars align and we both make it next year!